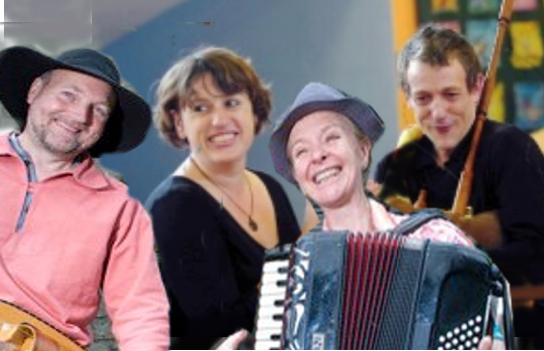 The Wizards of Noz play exciting folk music for the traditional dances typical of a Breton Fest Noz or French bal. Many dances are traditionally done to songs, which Yannick sings with an accompaniment of accordion, bagpipes, hurdy-gurdy and clarinet. We also mix in some lively instrumental numbers. 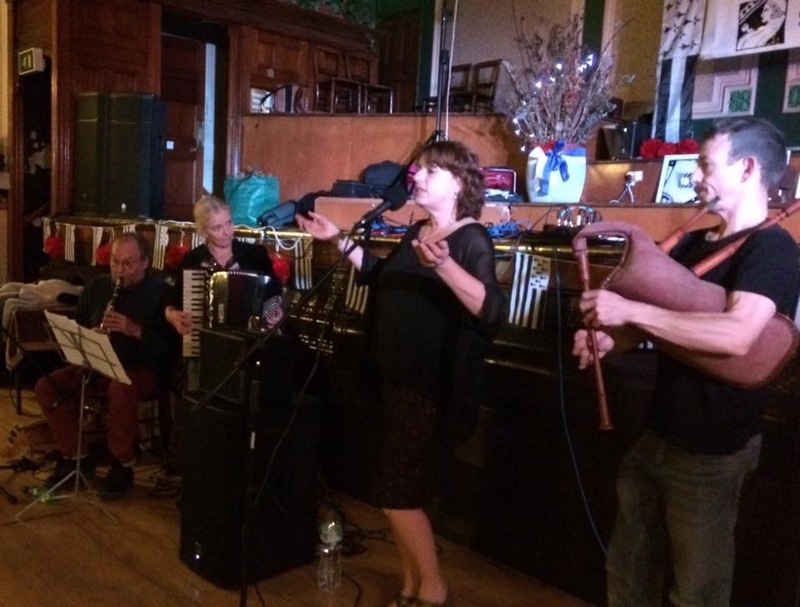 The band are available for traditional dance events but the mix of easy, fun dances is also a great alternative to a ceilidh for weddings and parties. At Les Panards Dansants, October 2016. Yannick’s involvement in traditional French and Breton music ranges from singing for dancing in a duo with an accordionist, organising an annual French music festival (Le Festival des Panards, Otley and more recently Hebden Bridge), teaching Breton call and response songs to running dance workshops for school children in schools all around the country. Born in France, Yannick now lives in Keighley, Yorkshire. Michael is one of Britain’s most innovative and original bagpipers. He is a European dance music specialist and plays english border pipes and recorder with the exciting and most entertaining trio Hérétique (http://www.heretique.co.uk/). He is an expert in early music studying in particular the development of bagpipe repertoire from the medieval period to its present day place in modern folk traditions. A gifted composer of contemporary traditional tunes, he was a member of the John Dipper Band and has worked with a huge variety of performers across the folk and early music worlds. He is currently developing his skills as a bagpipe maker. A computational chemist by background, Paul Sherwood discovered the hurdy-gurdy in 2001, and inspired by bands such as Blowzabella has been playing European folk music ever since. Paul plays along with Sian in Rich Tea, Quercus, in which he also plays clarinet, mandolin and the bagpipes, and BoomBike Bourrée. Look out for Paul adding folky drone sounds to Steve Lewis’s Deep Cabaret project. Sian has a background in theatre and circus has worked with Horse and Bamboo, and D.N.A Puppets in Preston. She has played with Mojas ( African jazz band West Wales) Cloud Cuckoo Machynlleth) T’it Filles, Cajun music in Bangor, Dynamo Zetor, Leeds, Pete Keelan and Whak, Perth, Australia, Vardos (briefly) Australia and the Balkanics Band in Lancaster. She works as a music teacher and runs folk music workshops. Sian especially likes playing for dancing; as she says, “it brings this music alive”.